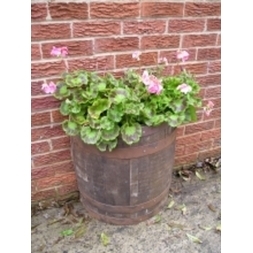 Half round, semi-circular oak tubs with a flat side to go against a wall. 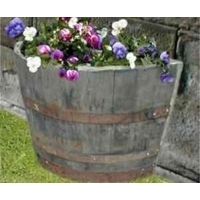 They are hand coopered from original barrels, which have been used by the distilling industry and retain the charm and individuality of the oak cask. 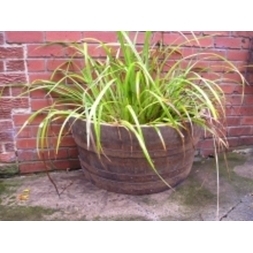 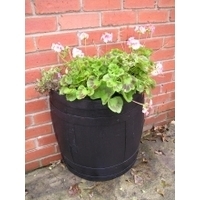 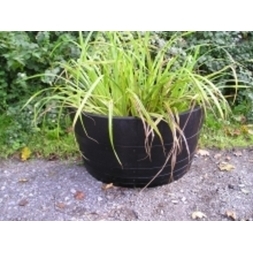 As plant containers they are both attractive and very robust. The front and base are made from oak; the back from pressure treated larch. 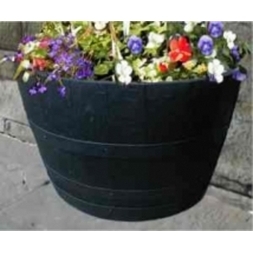 Half-moon tubs are available in two finishes, a natural finish and a dark stained finish.